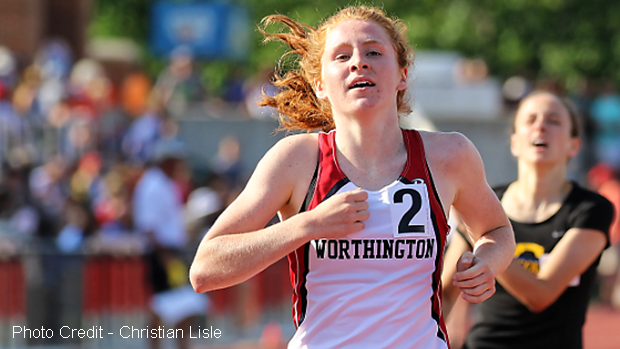 Gia Napoleon of Thomas Worthington High School is the top ranked 800m runner in Ohio. MileSplit Ohio would like to congratulate Gia Napoleon of Thomas Worthington High School on her excellent performance in the D1 800m race at the OHSAA State Track and Field Championship. Gia Napoleon won the race in an impressive time of 2:07.47. This result represents an Ohio #1, a U.S. #7, a new Thomas Worthington school record and an Ohio #6 All-Time! Napoleon, a sophomore, finished 6th in this event at the 2016 OHSAA State Track and Field Championship with a time of 2:12.80. It will be exciting to monitor her progress as she moves through her junior and senior years. Capturing the victory did not come easily for Gia Napoleon, as she received formidable challenges from Gahanna Lincoln athletes, Madison Martinez and Shynae Deas. Martinez finished 2nd in a time of 2:08.94 and Deas claimed 3rd place with her 2:10.14 effort. With these results, Madison Martinez is ranked 2nd in Ohio and 24th in the country and Shynae Deas has secured 4th place on the state's 800m list. Additionally, Martinez's result is an Ohio #11 All-Time and a new Gahanna Lincoln school record and Deas' result represents an Ohio #21 All-Time! 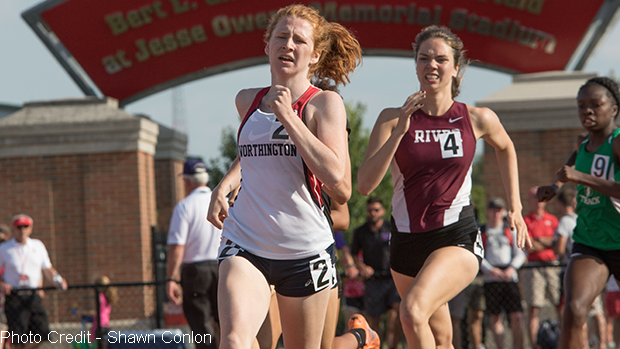 Thomas Worthington's Gia Napoleon is ranked 7th in the country in the 800m event. Congratulations to Gia Napoleon on her impressive accomplishment!